How to Make Your Own Fondant Using Marshmallows-Plus Tips and Tricks on how to Work with It. | A Vision to Remember All Things Handmade Blog: How to Make Your Own Fondant Using Marshmallows-Plus Tips and Tricks on how to Work with It. How to Make Your Own Fondant Using Marshmallows-Plus Tips and Tricks on how to Work with It. This is a recipe that a friend shared with me a long time ago. Making my own Fondant has been lots of fun, especially when I had a couple friends ask me to help make their wedding Cakes. Sadly, I haven't had much time lately to make any cakes, and I don't think I will ever make a cake for a wedding again. It is so stressful making sure to make it just right! Melt the marshmallows, water, and flavoring in the microwave. Stir well. Mix in the powdered sugar, (it is best if you put it in a kitchen aid or I use my Bosch) make sure not to add too much because it will get too stiff to work with easily. Then put it in some press and seal wrap (this works so much better than saran wrap) Let is sit for about 15 minutes then roll it out and put it on the cake. To smooth the fondant onto the cake start with the corners (if it is a square cake, I used foam cake squares for my bottom layers of the cake and real cake for the top) and work your way to the middle of the sides. Another great thing to use is fondant smoother. They work wonders for getting out those imperfections on the fondant. Another hint is to frost using butter cream icing (I think that regular frosting would be just fine) on the cake before putting on the fondant so that the fondant has something to stick too. This wedding cake looks gorgeous, but wouldn't you know it-There are a ton of imperfections on the cake. After working with Fondant a a few times, I want to share with you what I have figured out. Use about 2/3 - 3/4 of the bag of powdered sugar. It will make your fondant stickier, but alot easier to work with in the end. If the fondant is really hard to roll out, put it in the microwave for a 15 seconds at a time until it is easier to work with again. Sadly I figured this out after doing 2 of the layers. Invest in a good fondant roller that is long and skinny and has no handles. You will not get the lines that come from the rollers ends as badly. Get a fondant smoother. It is like a plastic trowel (you know those things that concrete people use to smooth out the concrete), but it is made for fondant. I found mine at walmart for 5 dollars or so. For the actual icing (the dots and the shells) I used Butter Cream Frosting (Recipe is HERE) and tips 18 (for the shells) and 4 (for the dots). The last wedding cake we did dots all the around the bottoms of the cakes, but this time I decided on the shells because I had some pretty big flaws at the bottom to cover up. It definitely helped. The dots are for something a little different and to try and hide more flaws. 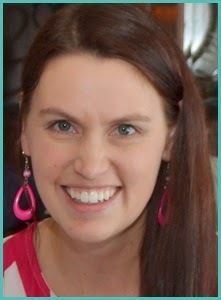 I also found this great website with lots of great tips for decorating any cakes, find it here. She also has a different recipe for the marshmallow fondant. 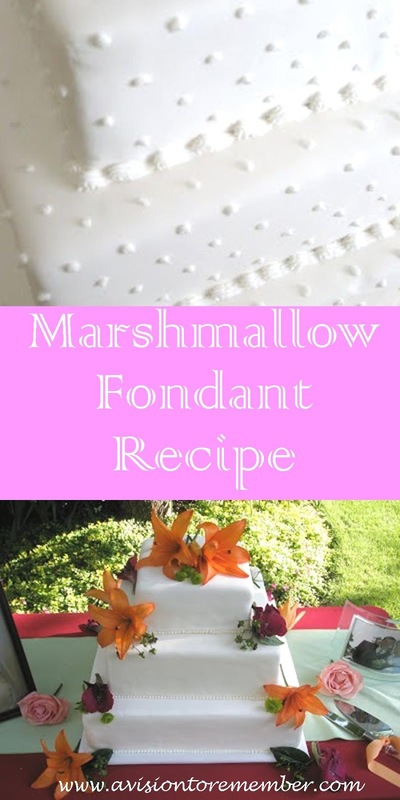 I love doing the marshmallow fondant, it is cheap, tastes really great, and it is easy to work with. I'm a cake decorator too. You're right, making wedding cakes is SOOO stressful! I'd love to try this though!! This is so cool and beautiful! I love that you used marshmallows. Looks wonderful!